Today we will discuss the pros and cons of using hashtags in your blog post titles. By the end of this post, you will have a better idea of whether or not you should adopt this technique for yourself and/or your business. Hashtags are created by inserting the number sign (often called the tic-tac-toe board or the pound key, on a phone) in front of words. What’s a hashtag? Should I use them in blog post titles? Hashtags help people find information on specific topics, especially on social media. For example, writers who are looking for writing tips will use and search for #writingtips. Do-it-yourself-ers will look for #DIY or #DIYtips. Businesses will use #B2B or #B2C and marketers will use #mktg. In fact, you can create your own unique hashtag if you want people to search for a particular thing. Say I was running a contest on Wording Well. I might use #WordingWellContest as my hashtag. The Beginner’s Guide to the Hashtag is a useful resource to use. Should I Register My Hashtag? Registering hashtags is not necessary, but claiming ownership of a particular hashtag could be integral to discussions around a trademark, logo, promotional campaign, or any other type of event. Some consider hashtags essential to branding your business, too. You can register specific hashtags using Hashtags.org. Twubs also allows you to register a hashtag. Okay, now that you have sharing buttons, you’ll notice that whenever your blog post is shared, the title of your post along with the link to your post comes up, regardless of which social platform your post is being shared on. The buttons are prepopulated automatically with this information. The thing is, if your blog post title already contains a hashtag, then this will automatically show up, too. Use Hashtags to Increase Traffic and Subscribers! This, in turn, increases your odds of gaining a new visitor to your blog. In turn, this increases your odds of gaining a new blog subscriber (especially if you have a freebie to give away to new visitors via a pop-up on your site!). So, by inserting one simple character into your blog post title, you are really increasing your odds of new traffic to your blog! As bloggers, we all want more traffic, right?! Does Using Hashtags in Your Blog Post Titles Hurt Your Search Results? Using hashtags in blog post titles is not a new concept. It seems to be a thing many bloggers are doing. But is it a good idea? Does it hurt your chances of being found in Search? The answer, simply, is NO. Hashtags are so commonplace nowadays that even Google has recognized them as a part of SEO. Hashtags in a post title allow users to get a quick overview of what your post is all about. For example, if you’re a book blogger and you title your post #Review of [INSERT BOOK TITLE HERE], social media users will quickly see the #Review tag and know that your post is about a review. If you use a hashtag that they are looking for, they will likely click your link. However, you run the risk of driving traffic away from your site, too. For example, if you use a hashtag in your blog post title, your future readers might click on the hashtag instead of the link to your blog. It could happen! For more information, read about The Do’s and Don’ts of How to Use Hashtags. Yes, hashtags are tough on the eyes, if they are over-used. So use them sparingly, and only with good intentions. Never write a blog post title that says: #HowTo #Finance your #Writing #Career while Making #Money #Blogging. Ouch. That’s hard on the eyes. And spammy-looking. No one will click on anything! I can guarantee you that much! The basic rule is to use no more than two hashtags at once. In some cases, three are acceptable, if they are short. For example, in one of my latest Tweets, I used these three: #B2B #B2C #mktg. But it’s rare for me to ever use three. Two is the norm. Using only one is perfectly acceptable, too, and in my blog posts, I will usually use only ONE. Some people have hashtag aversion syndrome. There are some people that just do not like hashtags… or they don’t understand them. So, when they see them within your post title it might turn them off from reading. There are also users who want to re-Tweet your post titles but don’t want to use hashtags in their Tweet. This means they have to edit your Tweet, which they do not want to do. It is one more step that might prevent them from re-Tweeting your post title. Essentially, I wouldn’t want to jeopardize my blog traffic. Neither should you. Before using any hashtag, check Twitter for common ones currently being used. Start typing your keyword using # before the word, and you’ll notice a few words pop up. Choose one that’s trending, if you want your post to be found faster by others. Choose unique ones for unique situations. As I mentioned earlier, if I was running a contest, I would create a unique hashtag for that specific contest. Or a generic one, unique to my site, such as #WordingWellContest. Then, when promoting this contest, I would add #contest to my social media status updates or my Tweets. My best advice is to choose your hashtags carefully! For more information, read Hashtags Explained: The Complete Guide to Hashtags in Social Media. Thanks for creating a great guide to using #hashtags @neilpatel! 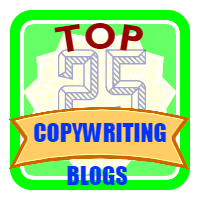 I won’t always use hashtags in my blog posts, but I will on occasion, especially if my blog post title contains a keyword that I know will drive traffic to my blog. Do you currently use hashtags in your blog posts? Just don’t use all of them… remember the rule of TWO! #amreading an awesome post about using #socia­lmedia when #blogging! Which hashtags do you use in your #blogging #marketing strategy? Which hashtags do you use in your #writi­ng #m­arketi­ng strategy? Which hashtags do you use in your #business #marketing strategy? Did you pick up your free gift yet? 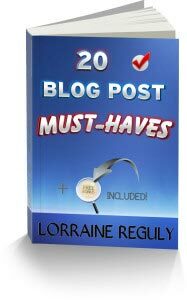 Get 20 Blog Post Must-Haves NOW! Don’t forget to speak your mind in the comments! I’m really curious to know how many of you will or won’t use hashtags in your blog posts! I often use hashtags in my blog posts! Do you? Are you going to start? Make use of good instagram tools like hashatory. It’s for finding hashtags for your post. Thanks. Have you used any hashtags in your blog post titles? Thanks for the link, Jatin! You tackled hashtags on blog post titles. How about using hashtags in the body/article of your blog post? Yay or nay and why? Jay, there would be no point to that, in my opinion. So now I know the benefit of using a hashtag in my blog post title, but what about in the post itself? I have my Instagram posts save as a blog post draft in case I want to post it on there later. I’ve always just left in the hashtags, but now I’m starting to wonder if it does any good. Instagram is totally different, Julie. Definitely use a bunch of hashtags there! Huh I never even considered using hashtags in an article title. Not something to be used often, but the use of hashtags in funny talk shows like Last Week Tonight are so prevalent that I can think of situations where you can incorporate them and not have them be weird. Incorporating money hashtags in titles that might be a different beast altogether, but its probably worth test running. Samantha, you will never know unless you try it! That’s the neat thing about blogging… you can always experiment. When you find something that works, great! Stick with it! Hey thanks Lorraine. I have not bothered with these tags, so thanks for the explanation. They show up on our Power and Politics programme, often in batches. Very hard to read, Very off-putting. But thanks to you, I’ll check it out more. I just tried it with my blog’s subject, and I got a long list of sites to check out. That makes it seem a bit foolish for ignoring this possibility. Thanks. See ya. Herb, I’m glad I was able to teach you something about these things! Using hashtags can be useful, as you can see. There are many to choose from, so if you DO end up using them, choose your hashtags wisely! I will almost always insert hashtags in my Twitter share caption or click-to-tweet captions on blog posts. I try to do it a bit more naturally, by making certain words in the title a hashtag instead of just jamming some hashtags at the beginning, middle or end. But I don’t generally put hashtags right in the title of the post. I can’t see any clear benefit to that. For instance, if I am going to share the post on Facebook or Google+ anyway, I can always add hashtags to the caption. To the best of my knowledge, if I search on Google+ for a certain hashtag, it only searches the captions of posts, not the OG data that populates the link title. Thanks for stopping by to add your input. It’s a tough choice, and it almost always boils down to a personal decision and how much marketing you want to do. Using hashtags can be beneficial, but they also can be a pain, trying to figure out which ones to use, or which ones will yield the most results. Each blogger, freelancer, and writer are different, and everyone has different preferences and goals. Oh, and I sure appreciate your sharing this post! Thanks! I don’t use hastags, because I didn’t know how to create one and how to use it. Now I do, so I will use #’s more often. This is a great article! May I re-post this on another blog? Jo Ann, hashtags are used everywhere! I’m really surprised that you have not used them yet. You have been blogging for a while! Anyways, I’m glad I was able to help enlighten you on this subject. Feel free to link to this post!